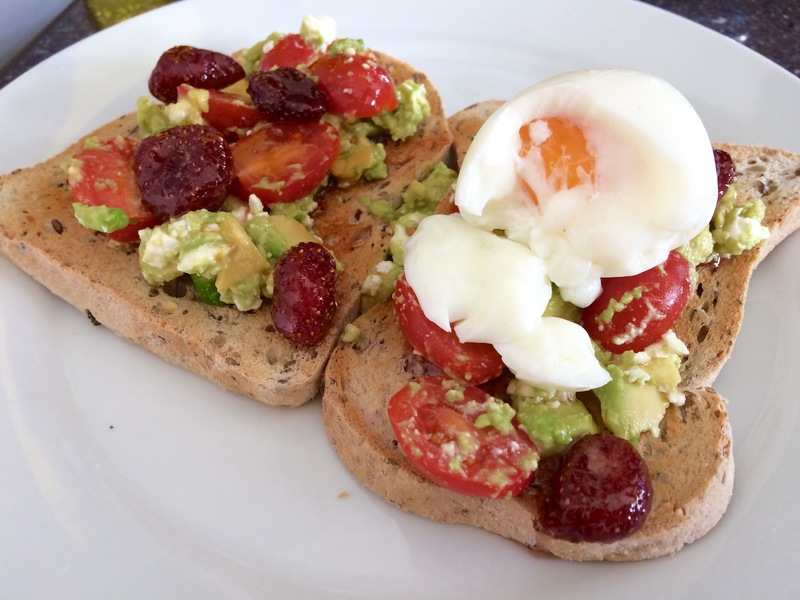 I love experimenting with breakfast as I don’t eat it often when I’m on my days off or during the week. I don’t know, I tend to either skip breakfast and have a big lunch or go out for brunch. I need a few hours after I wake up before I really start to feel hungry. When I last visited my bestie in Turkey 🇹🇷, her mum in law gave me her special homemade strawberry jam. I don’t eat jams that often, actually never but there’s something about her homemade jams that won me over. There’s not really a method. Anyone can whip this one up. 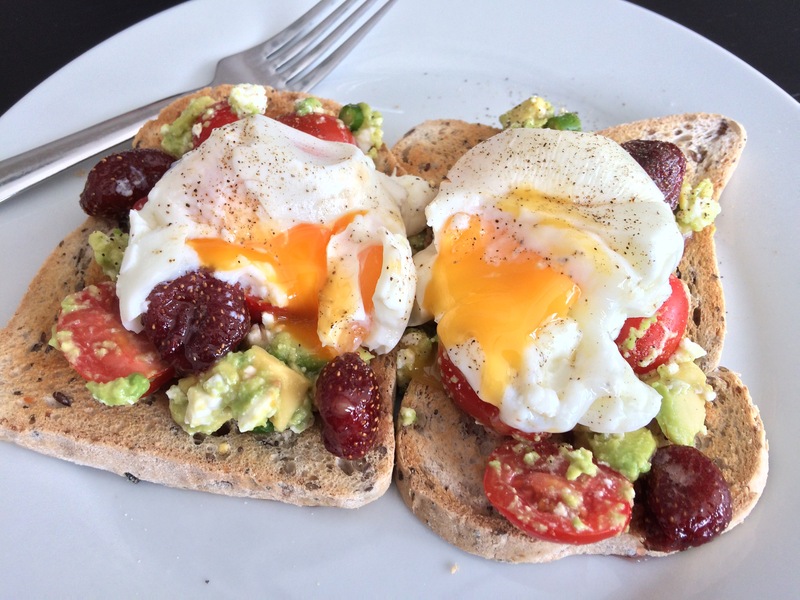 To make the smashed avocado, transfer the avocado in a bowl, add in the halved plum tomatoes, chopped green chillies, salt, pepper and a tablespoon or two of lemon juice. Smash/ mix it all up.